Bone grafts are used in many different surgical procedures. They are commonly used during dental implant procedures as a way to stabilize the jaw bone and encourage the growth of new bone tissue. Bone grafts help to rebuild bone where it has been broken or worn away. For dental implants, the additional bone tissue helps existing tissue remodel around the titanium rod, firmly holding it in place. Grafting is a surgical procedure in which small pieces of bone are grafted to another bone, providing support and encouraging new bone growth. Once the graft is in place, new bone grows around it, strengthening and supporting the entire area. What Is a Bone Graft Made of? Pieces of bone that are chosen for grafts are normally harvested from a person’s wrist or hip. Bone can also be taken from another person, an animal, or made of a composite material and shaped to fit the area where the graft will be placed. Grafts are often used to help replace sections of your jaw bone that have been lost over time. When you lose a tooth, the bone begins to erode loosening other teeth that are close by. Once a bone graft is in place, it draws calcium and other nutrients the body needs to build new bone tissue and remodel the jaw. When implants are used, the graft holds the implant in place as new bone tissue forms around it, holding it securely inside the bone tissue. 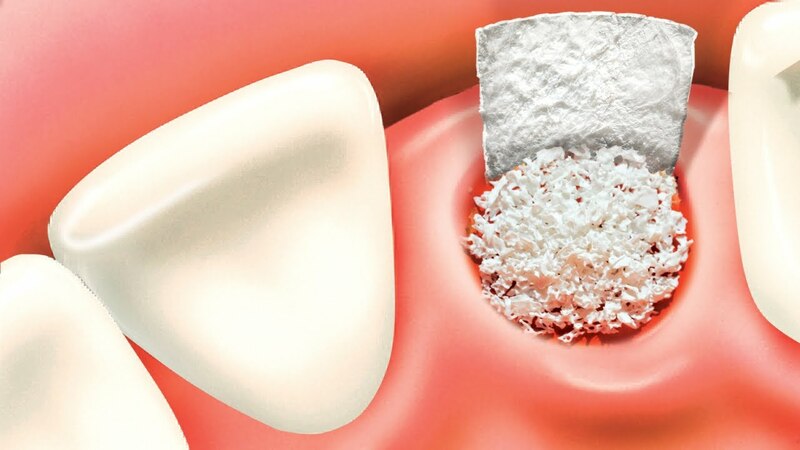 Bone grafting is often considered an effective treatment option when a person has lost a significant amount of bone tissue, due to either erosion or breakage. If dental implants are going to be used, a graft is also used to build up the bone tissue providing a stable base for the implant to be attached to. Bone grafting has become an extremely common procedure that provides effective and long-lasting results. It is extremely effective when used during restoration and reconstruction procedures. Dr. Orest Frangopol is the Owner of OC Dental Implants, a leading dental office in the Orange County area. Dr. Frangopol is an expert in providing comprehensive implant services that include: single tooth dental implant, bone grafting, dental implants and full mouth reconstruction. He along with his team has a reputation of offering affordable dental implants combined with customized treatment for all his patients.